Each year nearly 3,000 people die in U.S home fires. A fire department responded to a home fire every 81 seconds. Unattended cooking continues to be the leading cause of home fires and home fire injuries. Heating equipment fires accounted for 16% of all reported home fires (second behind cooking) and 21% of home fire deaths. Smoke alarms cut the risk of dying in a reported fire in half. 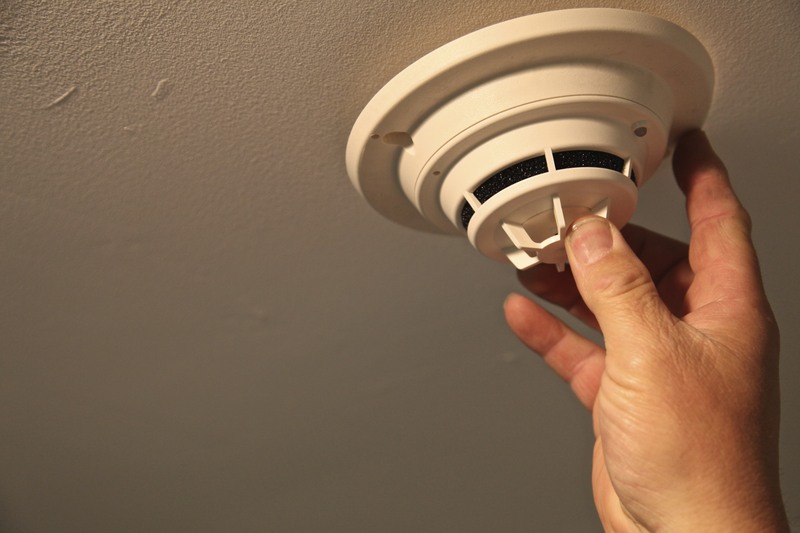 Many people may believe that their home is adequately protected if they have at least one smoke alarm in the home. However, smoke alarms should be installed on every level of the home (including the basement), outside each sleeping area, and inside each bedroom. Larger homes may need additional smoke alarms. Interconnection of smoke alarms or a fire alarm system is highly recommended; when one smoke alarm sounds, they all do. 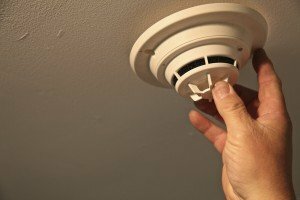 (This is particularly important in larger or multi-story homes, where the sound from distant smoke alarms may be reduced to the point that it may not be loud enough to provide proper warning, especially for sleeping individuals.) A licensed electrician can install hard-wired multiple-station alarms. Wireless alarms, which manufacturers have more recently begun producing, can be installed by the homeowner. Test stand-alone smoke alarms at least monthly by pushing the test button. If an alarm “chirps,” warning the battery is low, replace the battery right away. All smoke alarms, including alarms that use 10-year batteries and those that are hard-wired alarms, should be replaced when they’re 10 years old (or sooner) if they do not respond properly when tested. In more than half of the reported home fires in which the smoke alarms were present but did not operate even though the fire was large enough, batteries were missing or disconnected. Nuisance alarms were the leading reason for disconnected alarms. Never remove or disable a smoke alarm. Download NFPA’s free smoke alarm safety checklist (PDF) to test your knowledge about your home’s smoke alarms. Need to know more about smoke alarms? Information provided by NFPA and “Check Your Smoke Alarm Facts” by Mike Hazel.